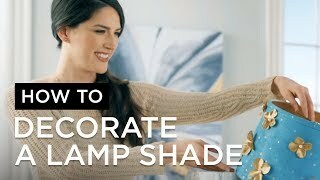 Refresh and refine the look and feel of any lamp with the addition of this hardback drum lamp shade. The cream Aberdeen material graces this hardback drum lamp shade from Stiffel beautifully with neutral elegance. With black trim and an unlined white interior, this shade boasts an eye-catching design. Fitted with a proper harp and finial, this shade will refresh any lamp with decorative style. Made in the U.S.A.
12" across the top x 13" across the bottom x 12" on the slant. 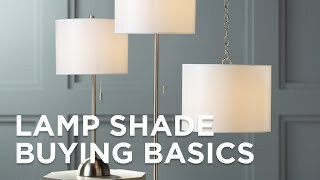 NEEDED NEW SHADES AND HAVE ALWAYS ENJOYED THE ELEGANCE OF LAMPS PLUS. The picture looks like it is white. Is that correct or is it closer to a eggshell color? BEST ANSWER: The shade is a cream aberdeen material.